Kalkan Property for Sale, Property Kalkan, Property in Kalkan. Welcome to Property Kalkan for Sale. Our dedicated Kalkan Property for Sale team specialises in marketing and management of property in Kalkan, a historic harbour town on Turkey's beautiful Mediterranean coast. Our Kalkan property has been hand-picked to provide prospective buyers with an exceptional range of Kalkan property, including sea view and beachfront homes. We help our clients with the buying process as well as management and holiday rental of their Kalkan property. Our Kalkan property portfolio is monitored with care to ensure all our properties are of an exceptional build quality and value, as well as having clean titles. If you would like to know more about our Kalkan property selection, please contact our consultants for objective advice and information. One of the most attractive villas ever built in Kalkan. 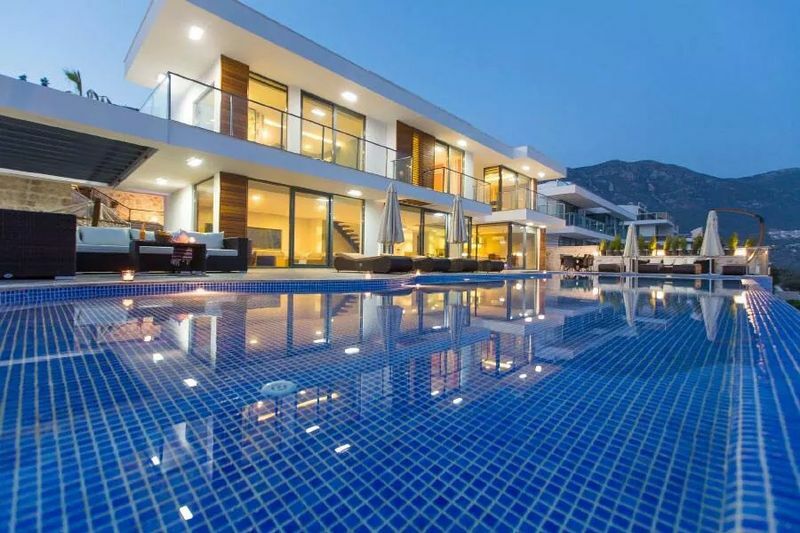 With a superb infinity pool and large private plot, this Kalkan home is a rare find. The Villa is walking distance to Kalkan Town Centre and boasts some of the most spectacular views in Kalkan. One of the finest for sure..
Stone’s throw to the sea and with its unique design, this lovely Villa in Kalkan is excellent value indeed. It boasts a spacious pool area and unobstructed sea view. 3 bedroom main house and 2 bedroom guest house. Located in one of Kalkan’s most panoramic spots, this very private and spacious villa offers beach access and private mooring facility. The villa affords great deal of privacy and exclusivity. Very spacious rooms. This lovely Kalkan beach Villa offers luxury living on one of Kalkan’s most attractive locations. Coupled with private beach platform and mooring, this is a dream home indeed. This 5 Bedroom Idyllic Kalkan Villa with views over the Entire coastline enjoys total seclusion and privacy. The Villa has 2,000m2 private garden and 6 by 12 swimming pool. Get the family round to enjoy this stunning 4-bedroom Kalkan villa minutes to beach and with amazing sea views. 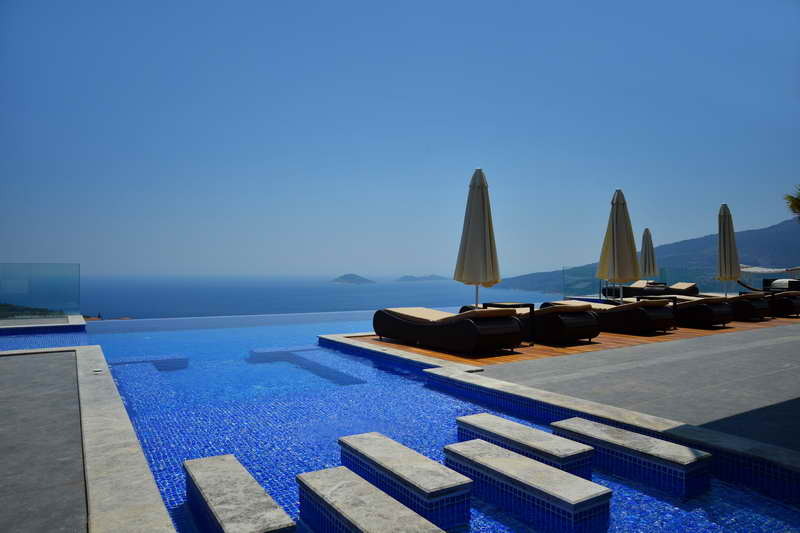 Just two minutes from Kalkan’s harbour, the villa has a private infinity pool, large garden and four bathrooms. Perfect for a family home and ideal buy to let. This remarkable villa in Kalkan enjoys breath-taking sea view from every room, including the 4 double bedrooms. The property is front-line to sea and access to water is provided via steps down from its own garden. A rare find in Kalkan’s most desirable district with a self-contained guest house. 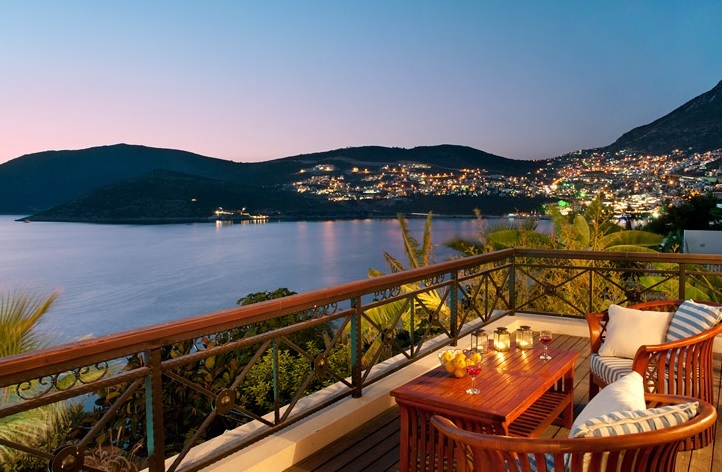 These stunning Kalkan villas enjoy panoramic sea views and a unique design. Entertain guests on the large terrace. These beautiful Kalkan properties are available as 3 bedroom, 3 bathroom or 4 bedroom, 4 bathroom detached. Villa Paradiso, with its self-contained separate guest house, is a spectacular Kalkan Villa which overlooks entire Kalkan Town. The villa offers very spacious living areas, ample plot size and privacy with some of the best views in the Mediterranean. This unique Kalkan villa has 3 double bedrooms with ensuites, an extra bathroom, a private pool and private garden. Just 300m from the beach, this luxurious villa would make the perfect holiday home or investment property. 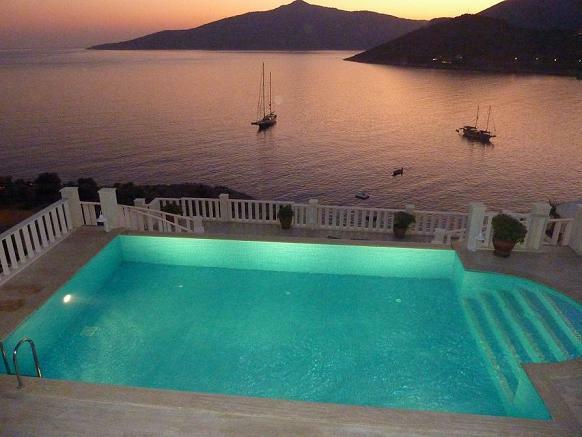 Dramatic sea views from 4 bedroom property in Kalkan. These beautifully designed Kalkan Infinity villas are located just 200m from an exclusive beach, offering privacy, sea views, spacious living areas and unique design. Relax in your private infinity pool, and entertain on the terrace. 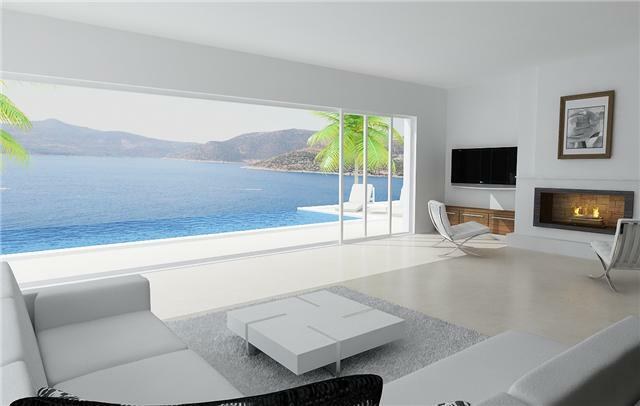 A truly stunning Kalkan property opportunity. 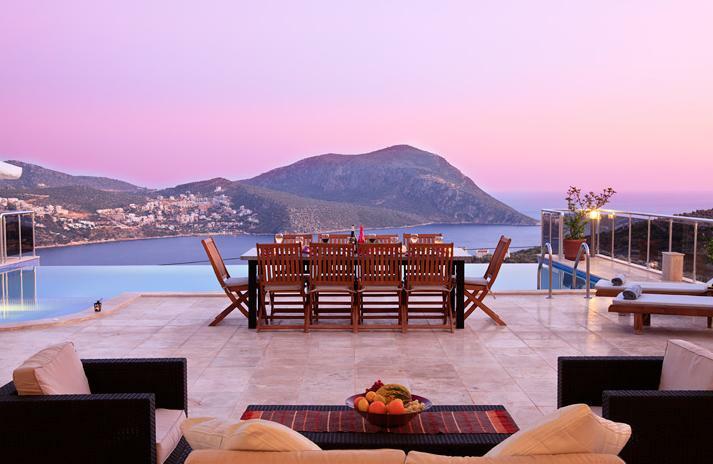 This panoramic Kalkan property is arranged as a duplex home overlooking Kalkan coastline and with views over the islands. Within 500m of seafront, this exceptional home benefits from all en-suite bedrooms, superb views and an incredible infinity pool. Detached Kalkan property located 15 minutes walk to Kalkan town centre and stone’s throw to seafront in Kalkan, Komurluk. This lovely villa in Kalkan benefits from 3 double bedrooms, privileged location 100m to seafront and a good size private garden. One of the best deals available in Kalkan. Our Kalkan property viewing trips are £99 per person. This fee includes flights from major airports to Dalaman Airport, hotel accommodation for two people for up to four nights, and a hand-picked list of at least 20 viewings, customised to suit your budget and individual needs. If on your viewing trip you decide to buy a Kalkan property, our experienced consultants will introduce you to our solicitor, assist you in opening a bank account and guide you through the power of attorney process. When you get back to the UK, our UK-based team will take over the process, undertaking fund transfers, tax, and any other matter that arises throughout your Kalkan property purchase process. After sales care and Kalkan property management and rentals. 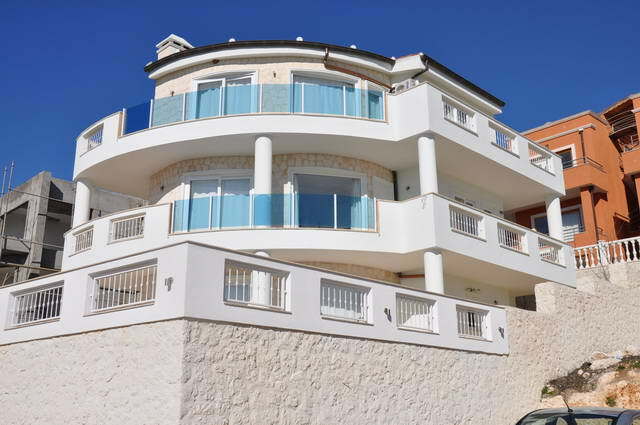 Our Kalkan and UK-based management and rental teams can provide any management or rental services necessary to ensure the best possible return on your Kalkan property investment. 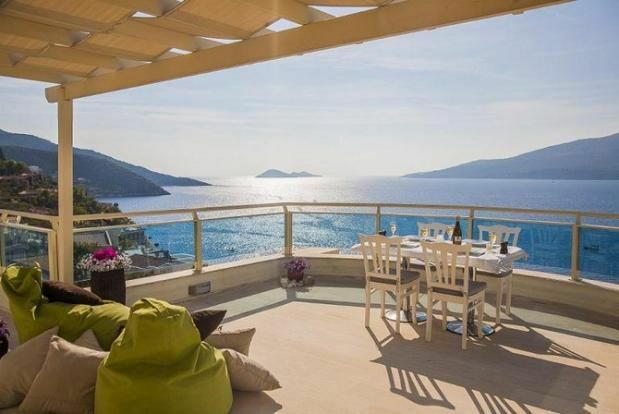 "Kalkan Property for Sale is a wonderful company to deal with. Thank you for making this purchase possible! 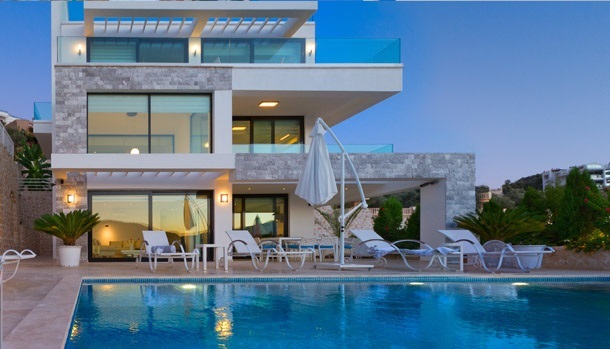 With us being first-time property investors, it was certainly appreciated that the Kalkan team and the London team both made the whole process manageable." "The Kalkan Property for Sale team made the entire property purchase process very easy as well as the lifestyle transition and was always happy to answer any questions. We are now settled into our beautiful Kalkan villa and there is no place I would rather be! I would be happy to recommend your company to others also looking for a property investment in Kalkan."